Trusted Media Brands has released the third and final installment of its study on family and home behavior. It informs brands of growing trends in the modern American family. 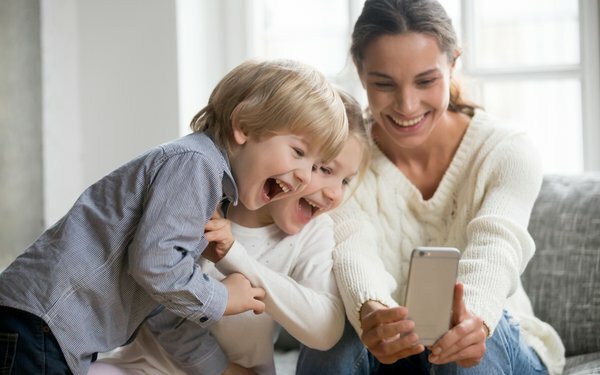 Called “The Digital Connection: Bringing Families Together,” the latest installment found a majority of families believe digital technology actually brings families together, rather than eats away at time spent together. The three-part study was created in partnership with Kantar Consulting and comes out of the Trusted Media Brands Insights Lab, which was created in April to provide brand marketers with consumer data, B2B insights and marketing trends. Trusted Media Brands — which publishes Reader's Digest, Family Handyman and Taste of Home — released the first of the three-part research series in November. The latest study found many families are making cuts to "screen time"; they don’t perceive technology as hindering family relationships. They appreciate technology’s fun and timesaving attributes and value its ability to keep them connected. “The national dialogue about the effects of digital technology on family life has taken a decidedly negative turn as scholars and the media alike continue to critique technology’s impact on our privacy, attention spans, mental health, and relationships," the study reads. The research shows “digital technologies play an essential role in family life" and can improve family connection. Some 61% of family members say technology helps families stay in close touch. “The stereotypical perception is that of distracted family members with eyes glued to their screens, idly scrolling through their social media newsfeed instead of interacting with their friends and loved ones," according to the study. However, the study found that just 15% of families say technology has made their family less engaged with one another when they’re together, and 9% say it negatively affects their family’s social skills. Conversely, 64% of modern families "believe technology has given them more, not less, leisure time.” Also, 86% of families use technology to regularly communicate with other family members. Among those who use social media to stay connected with family, 95% use Facebook, 29% use Instagram and 19% use Snapchat. Publishers are increasingly investing in smart speakers. For example, Meredith Corp. launched a business unit this month that includes the creation of the Meredith Voice Network, which translates articles into voice experiences for advertisers. It can be distributed on Meredith’s owned-and-operated sites, social media and podcast platforms, and smart speakers. The network represents an audience of more than 45 million listeners. The Meredith Voice Network is developing a range of AI-powered voice "skills" (for Amazon Alexa applications) and "actions" (for Google Assistant applications) that allow consumers to access health and wellness topics with Shape and entertainment with "The Must List" from Entertainment Weekly. The report recommends the marketplace respond to the digital connection in modern American families by being positive about technology habits in their brand messaging. The research data in the study comes from a custom, online survey of 3,500 American adults in families (defined as two or more adults living in a household, with at least one being a family member or spouse), 250 digital interviews with 50 family households and annual and quarterly surveys from Kantar Consulting’s U.S. Monitor, which produces insights about the changing attitudes, values and lifestyle of the American consumer. The second installment of the study - “Cultural Exchange: A New Blend of Family and Tradition” - found the majority of today’s modern families are adapting and embracing diversity in their homes and lifestyles. It found that 71% of U.S. families view increasing diversity as positive.